Just how important is Intercessory Prayer? Just how important is praying for one another? It is vital! Each of us have needs that must to be brought into the very throne room of heaven and placed at Jesus’ feet. Sometimes though we have difficulty in articulating these concerns. Have you ever been to the place of sheer and utter weakness? Have you been to that dark place of loneliness and fear? Brothers and sisters in Christ, our love and care for one another isn’t solely meant for Sundays in the pews alone! No! We have been given this vital task of praying for each other daily. We, are to exercise these prayers of intercession for one another daily! Perhaps you may say to yourself, “Well I’m not much of a pray-er, there are much better Christians out there who could do a better job!” This may be true, but God has called YOU to pray today for someone in need. You don’t have to be “good” at it. You just have to be diligent and faithful. We are all called to this task and we need to be in prayer for the body of Christ. There will be times when you need prayer and others will surround you. It will be in those moments when this vital intercessory prayer circle will make complete sense to a doubting heart of the vitality and power of such a discipline. Brothers and sisters, say a prayer for each other today. The Holy Spirit can help you articulate it for you. He guides us in our prayer discoveries and in those dry moments when nothing comes forth. You don’t have to have all the elegant and “right” words, you just have to show up. Say to the Lord, “Here I am, send me!” in an attitude of prayer and He will allow your mind to be “sent” upon those people and situations in which need crucial intercessors. Commit to it today. Prayer for one another, give thanks for your fellow brothers and sisters in Christ, and pray through intercessory prayer. Previous Post Previous post:Thanksgiving, Mystery and Childhood. 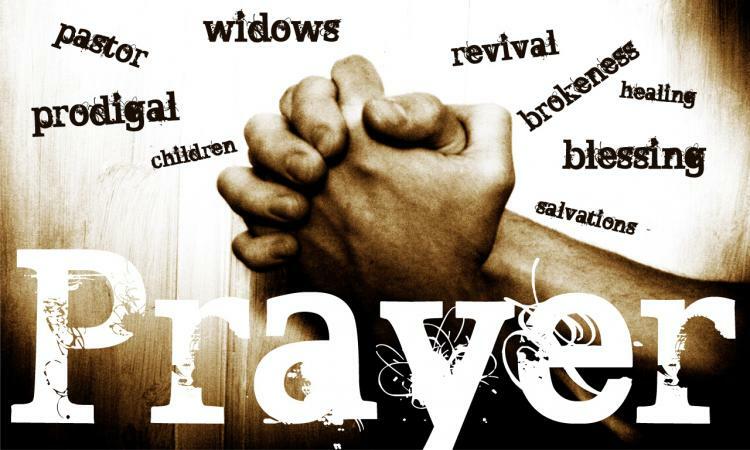 Pingback: In Need Of Prayer? | LSW Ministries "No One Left Behind"